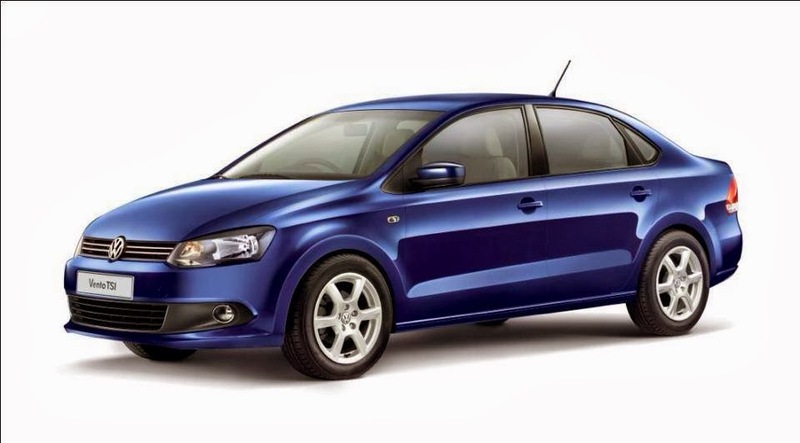 Volkswagen India just launched the Vento TSI in India at a price tag of Rs 9.99 Lakh. The sales of the new will be available from today at selected dealerships. The Vento TSI is available only in a single trim level, the Highline variant. However, VW will offer the car with a choice of six body colors – Shadow Blue, Candy White, Pepper Grey, Terra Beige, Deep Black and Reflex Silver. The new car will be powered by a 1.2L TSI Gasoline engine mated to a 7 speed DSG gearbox. The ARAI certified fuel economy of the Vento TSI stands at 16.93km/l. With the new Vento TSI, Volkswagen takes the lead with producing cars that are high-tech, powerful and fuel-efficient. With a turbocharged petrol engine and 7-speed DSG automatic gearbox, the Vento TSI provides excellent performance and fuel economy. The new car will compete with all other Automatic options available in the market - Maruti Suzuki SX4, Honda City, Nissan Sunny, Renault Scala, Hyundai Verna, Skoda Rapid and Ford Fiesta.